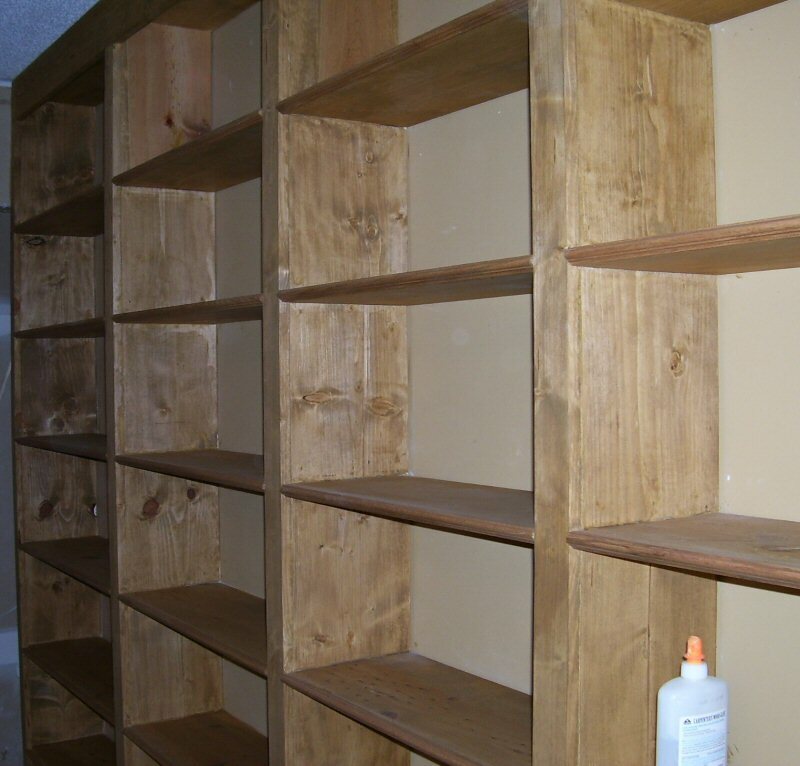 This is the completed and stained bookcase, or at least part of it. 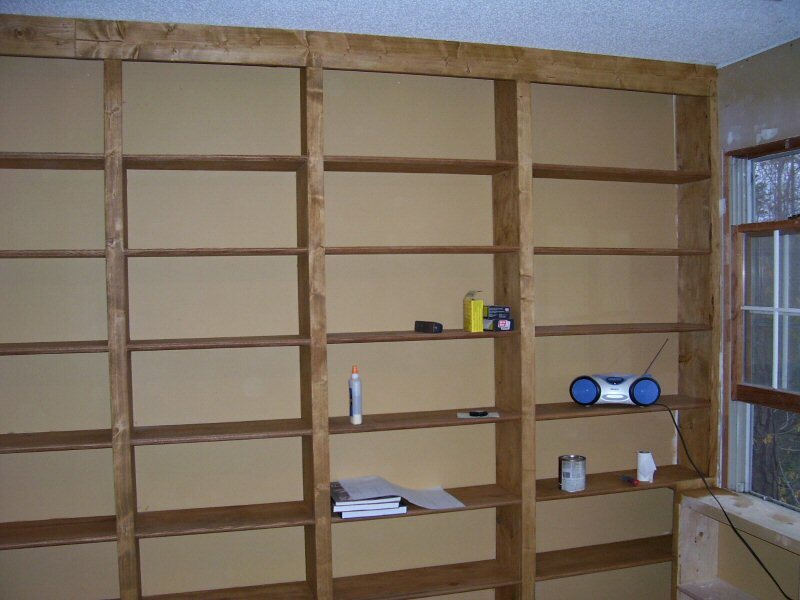 Overall it is 13′ wide and 8′ high, with six shelves 11.5″ apart. There are five partitions, two at 34″ wide, two at 30″ wide, and one at 24″ width. 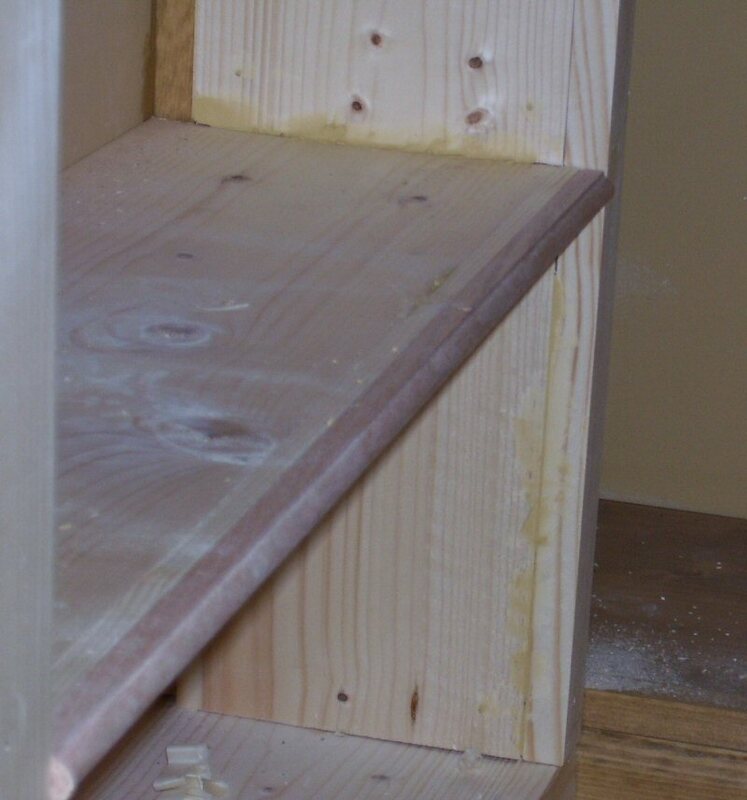 The bottom shelf is 15″ from the floor to allow room for the electrical receptacles. The upper and front surfaces will be varnished to protect them from wear and tear.